Silver Aluminum Tin Jar Can Container for DIY Beauty Cosmetics Storage Balms Salves Lotions Butters Etc 2 Oz Large High Quality! 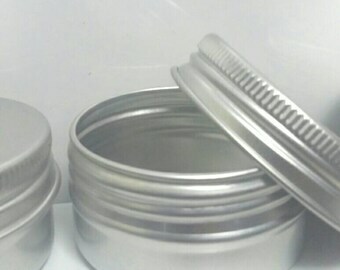 Tins for balms,salves, soaps etc. Set of 6. Screw cap with liner.